The Central Pollution Control Board (CPCB) has identified a total of 764 Grossly Polluting Industries (industry discharging more than pollution load of Biochemical Oxygen Demand 100kg per day) along the entire stretch of river Ganga and its tributaries, the Lok Sabha was informed. Union minister Vijay Goel said that from December 2015 to January 2017, 573 inspections have been carried out by CPCB covering 302 GPIs. 141 units were found to be complying with stipulated norms, 96 were found non-complying and 65 were found closed. Closure directions were issued to 45 non-complying units, show cause notices to 37 and letters to 14 non-complying units. He said that conservation & cleaning of river Ganga is a continuous and collective effort of central government, state governments, local bodies and general public. 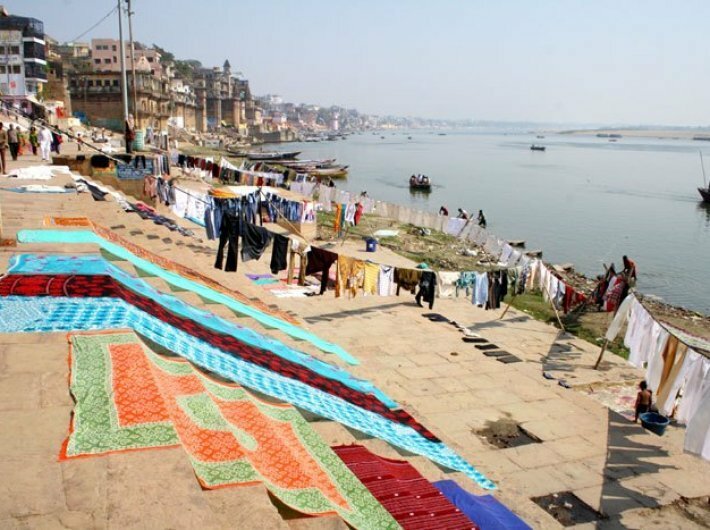 Under Namami Gange Programme, a holistic approach has been adopted to clean the river Ganga. The various types of pollution abatement schemes taken up to clean Ganga may be categorized into core and non-core schemes. Core schemes include Interception and Diversion (I&D) of sewage discharging into the Ganga and creating treatment infrastructure to treat the intercepted sewage. Non-core schemes include providing Low Cost Sanitation (LCS) at community and individual levels at identified locations, installation of Crematoria (electric as well as wood based improved crematoria), River Front Development (RFD) including bathing ghats, river surface cleaning, afforestation, protecting biodiversity and creating public awareness and participation.